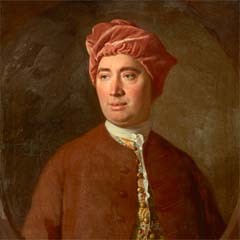 David Hume’s two key works, A Treatise of Human Nature (1739–40) and An Enquiry Concerning Human Understanding (1748), are still studied by students of philosophy today. Although he is now best known as a philosopher, in his own day he was equally famous as a historian. 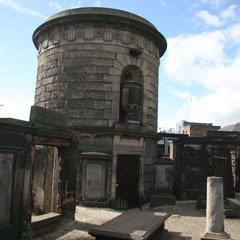 While his genius was universally acknowledged, his sceptical philosophy was extremely controversial and led to him being passed over for professorships at the Universities of both Edinburgh and Glasgow. Instead he found a job as librarian at the Faculty of Advocates. His Essays on Natural Religion were so provocative that he never dared publish them in his lifetime. Portrait of David Hume (1711–1776) by Allan Ramsay. 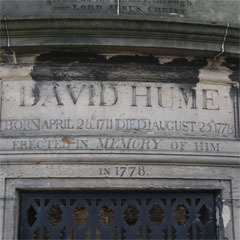 Inscription on the tomb of David Hume.